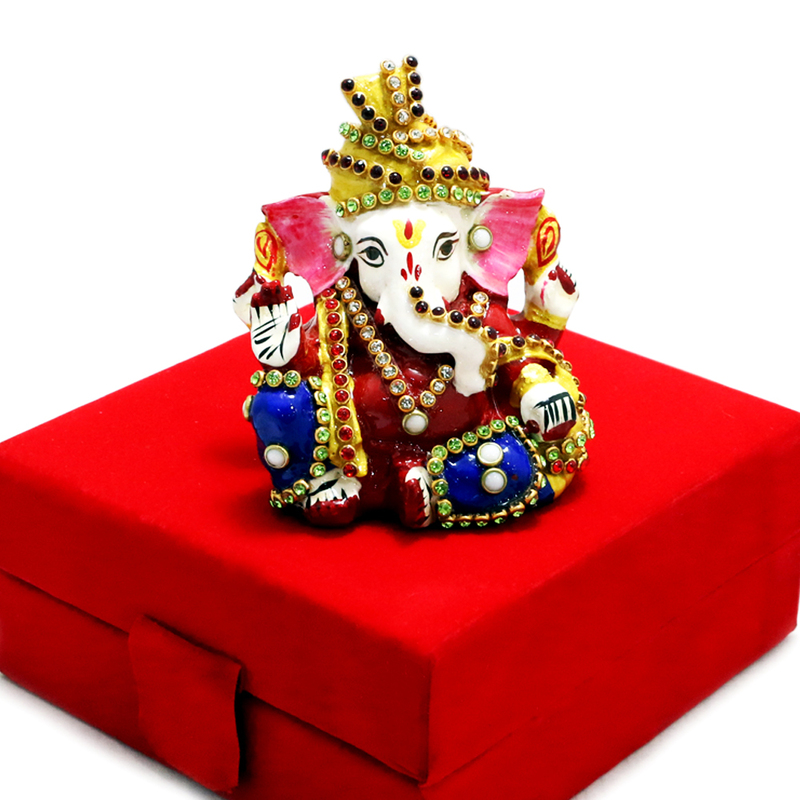 This cute little Ganesh idol comes in a well carved red velvet box. 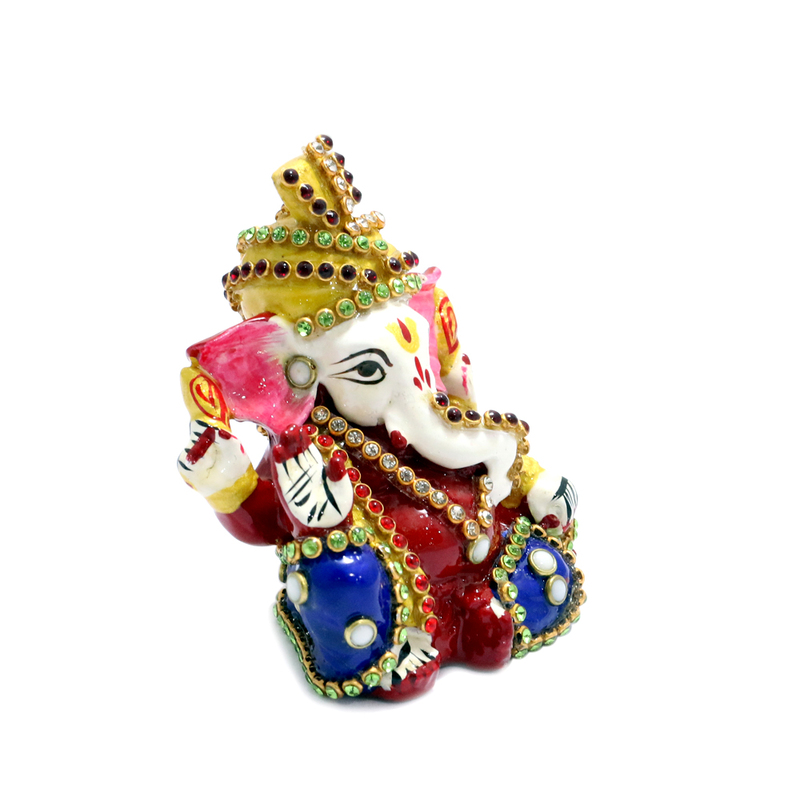 The idol expresses a blessing posture, wearing a head gear. 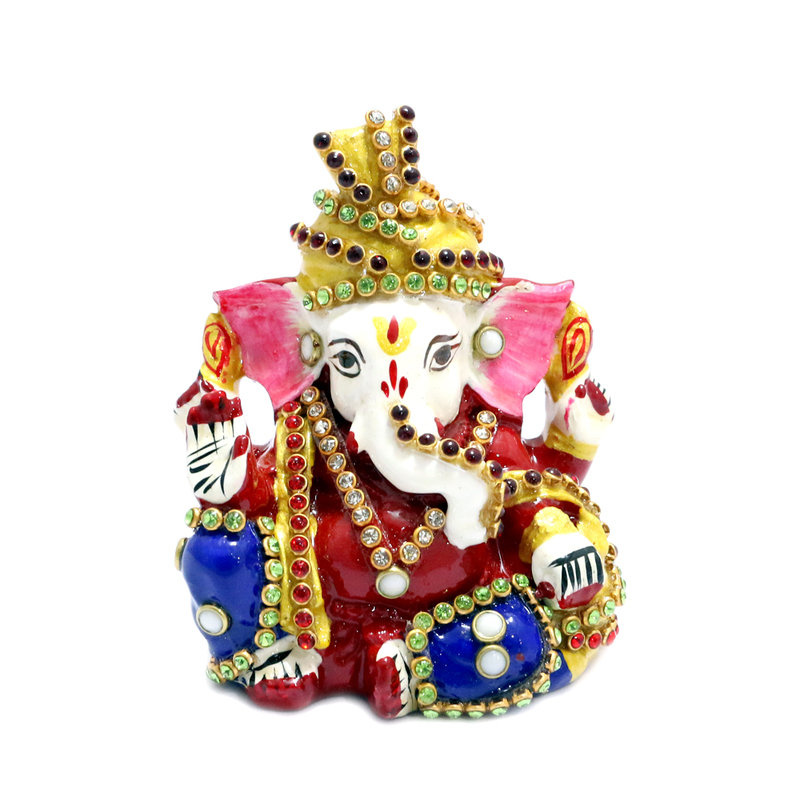 Ganesh here Read More..has been ornamented with colourful apparels to steal the show. Show Less..